Children’s Dental Clinic is modern, with advanced technology, equipments like Intraoral Camera, Multimedia Education, Radiography and General Anesthesia and Sedation Machines. Interior and Kids Playing Area has been designed with fun consideration for kids. 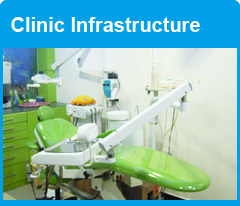 It provides Advanced Dental Treatment for Children to achieve Optimum Oral Care and Smile in Sangli.